There comes a moment on a journey when something sweet, something irresistible and charming as wine raised to thirsty lips, wells up in the traveler’s being. 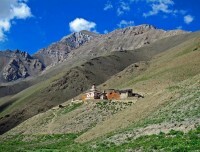 Trekking to Lower Dolpo is an amazing opportunity to discover the collective beauty of nature and culture — meeting local isolated people and observing their archaic lifestyle and Buddhist monasteries with high elevation adventure across the valley lying under the shadow of a trans-himalaya range of mountains. Lower Dolpo trek route falls inside the country’s biggest preservation area — Shey Phoksundo National Park and had been a shelter for a wide range of birds, plants and wildlife species with an abundant forest of rhododendron, bamboo, blue pines along with the mustard and barley fields of local people. The lifestyle of Dolpo people has not changed in centuries and they have been living their primitive life revolving around the vastly influenced Tibetan practices. Lower Dolpo is truly a destination for lifetime experience to discover the adventure on remote and rugged terrain, still intact with its unique lifestyle and topographical beauty of Nepal. Lower Dolpo is an excellent choice for any travelers to explore the unbeatable beauty of ancient Buddhist monasteries and unique Bonpo lifestyle. 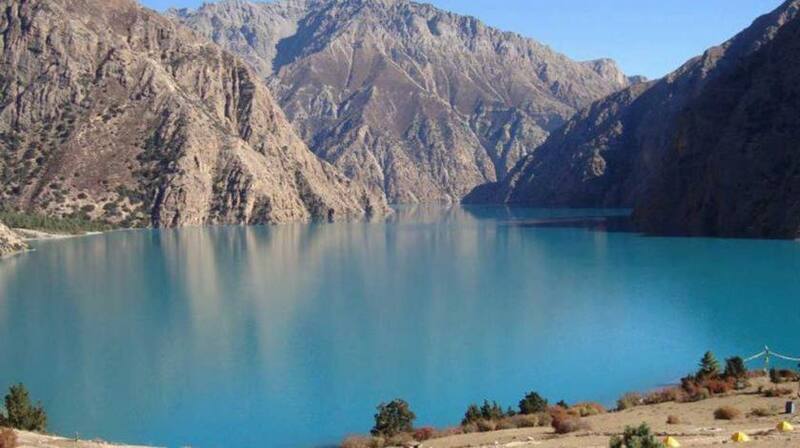 Besides high elevation adventure and astounding landscapes beauty, the major attraction is the blue colored turquoise Shey Phoksundo Lake — the deepest lake of Nepal. Lower Dolpo Trekking starts with scenic flight from Nepalgunj to Juphal from where the route follows Thuli Bheri river till Khanigaon village and ascends towards Dho Tarap — a place to explore and rest before crossing Numa La and Baga La Pass to enter Phoksundo Lake Valley and then walk down to Juphal via Chhepka to complete the Lower Dolpo Circuit.